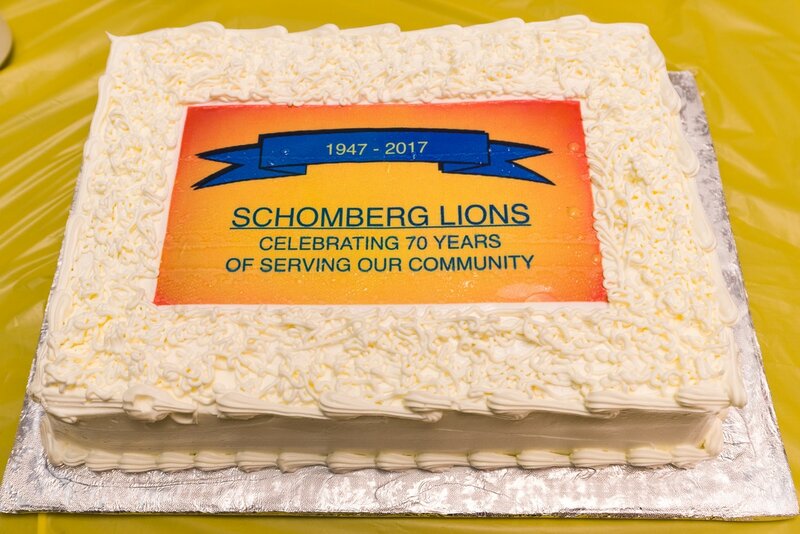 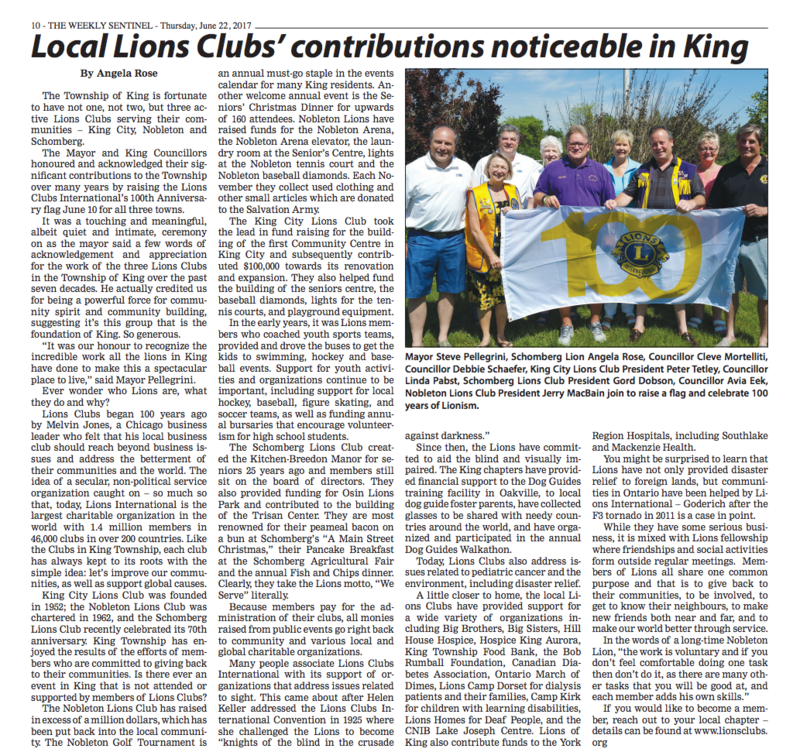 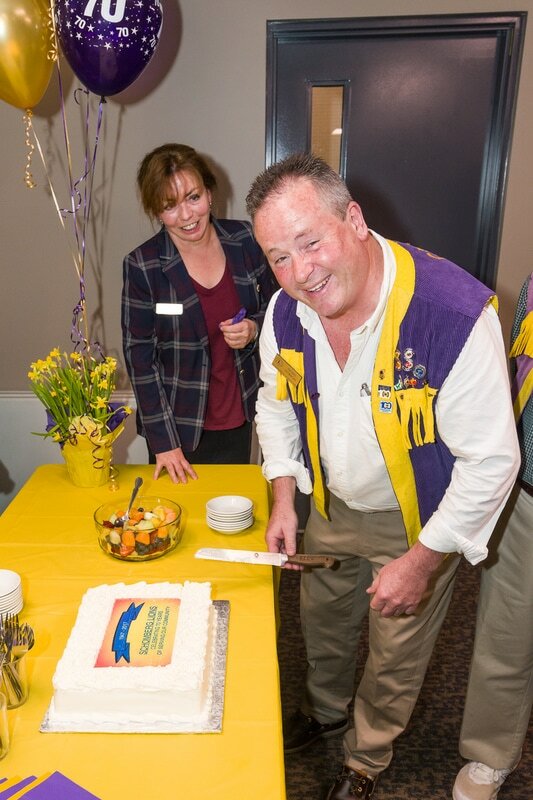 Schomberg Lions celebrate 70th anniversary of the founding of the club. 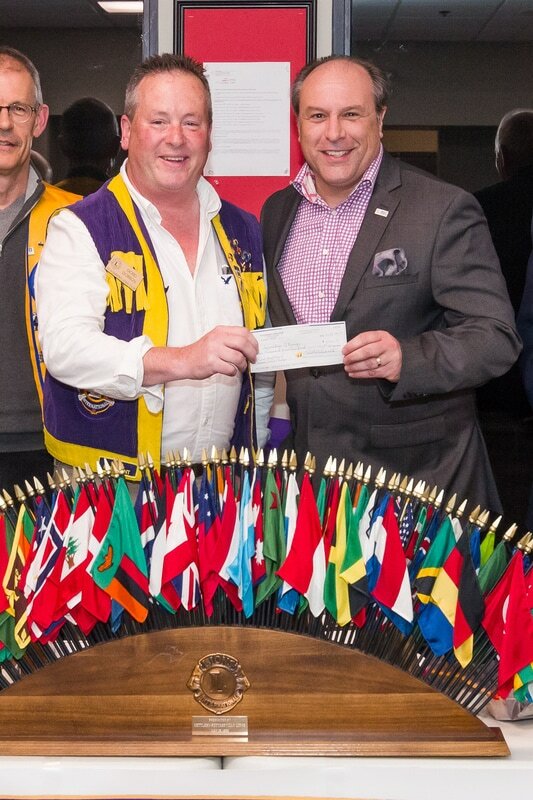 Steve Pellegrini for the final payment of the Lions Club's contribution to the Trisan Centre. 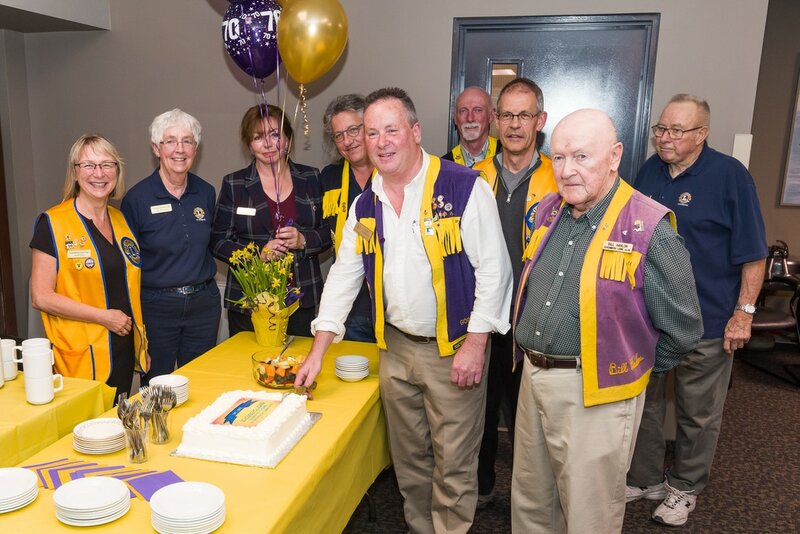 Bob Gwalchmai, Marlene Koppens, AL Cober and John Hamilton . 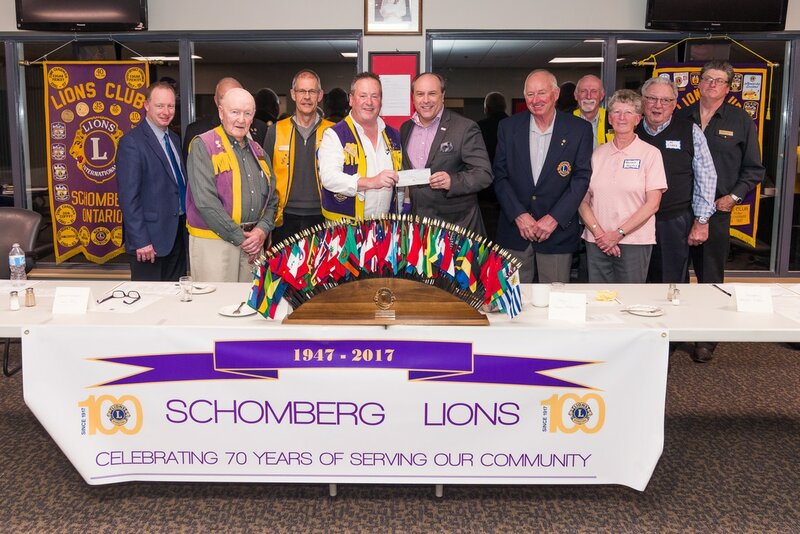 If you would like to make a donation to the Schomberg Lions to help with their work in the community, please click on the button below.